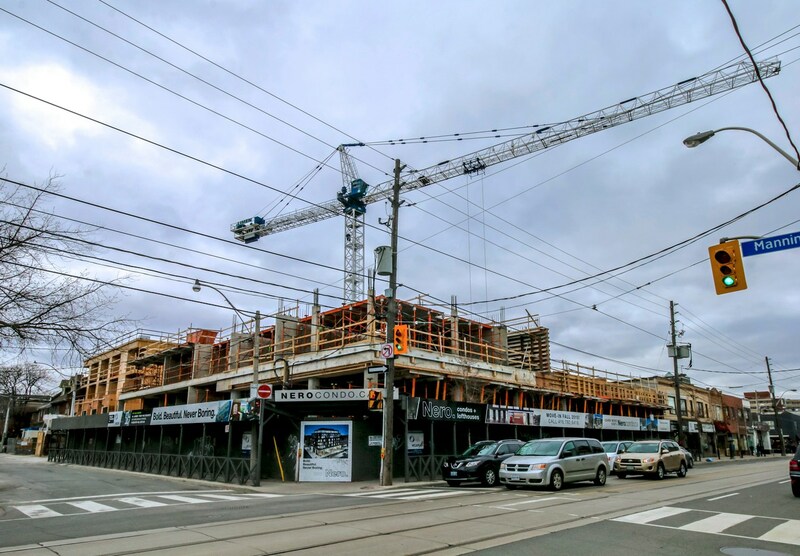 Quickly rising on the corner of Dundas Street West and Manning Avenue in Toronto’s Trinity-Bellwoods neighbourhood, is Tofni Development’s seven-storey NERO Condos + Lofts development. 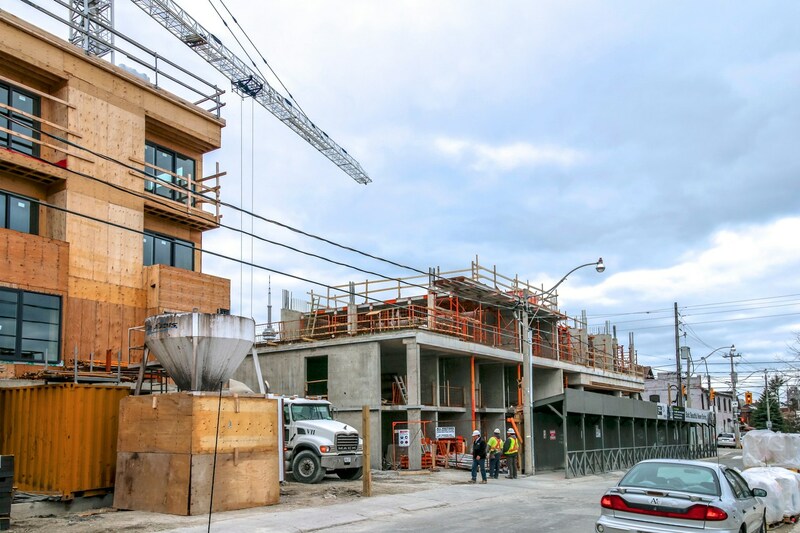 BuzzBuzzHome News recently visited the site and we’re pleased to report that construction has been progressing steadily, with crews now preparing to pour more concrete for the fourth floor deck. Elsewhere on site, the nine townhome units are also coming along well now that windows and doors have been installed. When completed, the complex will house 75 condo residences, three lofthouses and nine townhomes with interiors designed by Union31. Residents will also have access to a second floor amenity area and ground floor retail spaces fronting Dundas Street. The exterior, designed by Toronto’s RAW Design, will be clad in bold, dark brick, recessed windows and large balconies. The architecture is further characterized by clean, contemporary lines that carry into the adjacent townhomes which introduce wood elements creating a soft and warm facade that blends well with the existing neighbourhood. These units also back onto a large private courtyard, providing lots of outdoor space for townhome residents. 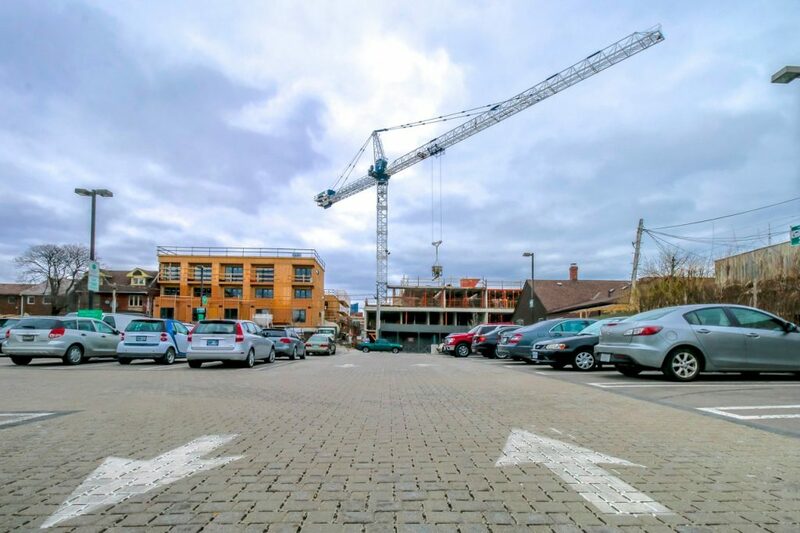 Suites at NERO Condos + Lofts start at $322,900 and boast soaring nine to 10 foot ceilings, pre-finished engineered hardwood floors, porcelain tile floors in bathrooms and solid-surface countertops and glass mosaic backsplashes in kitchens. Prospective homebuyers can visit the sales centre located at 854 Dundas Street West, Monday through Wednesday from 12pm to 6pm, Thursday from 3pm to 8pm and weekends from 12pm to 5pm. 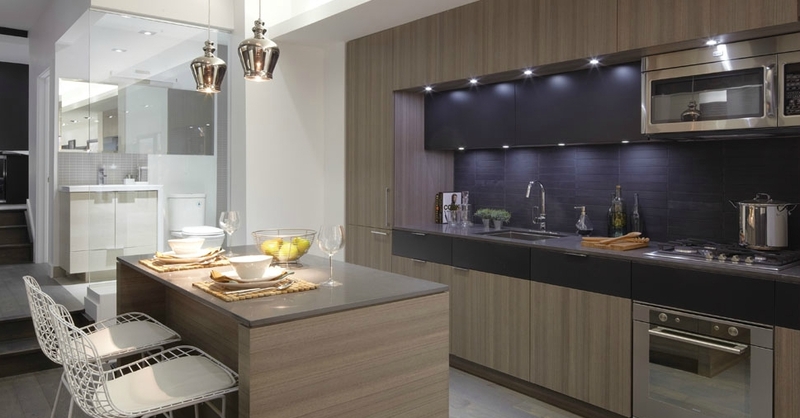 For more information please call 416 792 1093 or email info@nerocondo.ca.